NASA’s Mars Rover curiosity is configured again, following an electrical problem last week which has been referred to as a “transient short circuit.” The engineers are still confounded at what would have caused the problem and according to Jim Erickson, the Curiosity Project Manager; they are currently running tests on the vehicle to define the present state of configuration. The short circuit is said to have happened when sample powder was being transferred to the instrument’s body from the robotic arm. The activity suddenly came to a halt. It guessed that there must have been an intermittent short within the drill. The reason for this guessing is because instead of rotating, curiosity’s drill hammers into the rock using percussion mechanisms. However,the tests which are expected to take a couple of days will help in determining the present location of the short. If need be, further tests will be done also to give a full analysis of a brief short that occurred during initial tests. This way and thereafter the concerns will become clearer to everyone. Curiosity Rover apparently was expected to unravel NASA’s Mars Science Laboratory Mission that would cost around $2.5Billion. 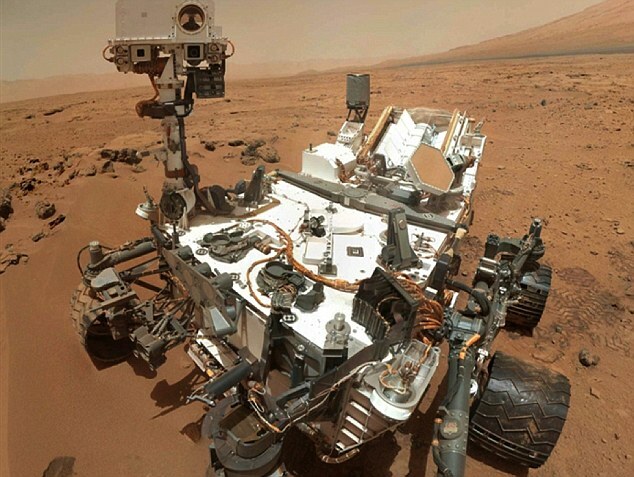 It got Mars in August 2012 with an aim to determine the capability of Red Planet being able to support microbial life. This was the key quest for the drill. With its ability, it managed to obtain a drilled sample way up to 2.5inches from an outcrop commonly known as Telegraph Peak which is deep within the rocks. The analysis by Curiosity into the drilled samples were said to be the key into various discoveries since the mission scientists were somehow able to determine how habitable the rovers landing site known as Yellowknife Bay is. It is expected that once all is complete, Curiosity would be back in action in a matter of a week’s time. Thereafter, the scientist may send it to the foothills of Mount Sharp which goes up to 5.5km into the Martian sky to determine how environmental conditions on the Red Planet have changed over time.